As part of the media team at Corporate Accountability, Taylor channels her passion for protecting her hometown, the environment at large, and human rights from corporate abuse. 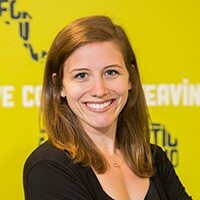 Working with the news media and organizational spokespeople, she helps expose life-threatening abuses perpetrated by transnational corporations in international, national, and local media outlets. Previously, she worked as a Green Corps organizer to advance Corporate Accountability’s initiative to kick McDonald’s out of two hospitals in Houston. In that role, she secured media in all major outlets in the city and trained volunteers to go on-air for live TV interviews. The Nation, "Trump’s infrastructure plan could destroy our nation’s water systems"